The European Union (EU) Commissioner for Migration has claimed that Jo Cox MP was “murdered for her dedication to European democracy and humanity”. “Extremism divides and nourishes hatred”, added Dimitris Avramopoulos, who works with the EU border agency Frontex and is responsible for “reaching out to citizens, notably by making use of the ‘Europe for Citizens’ programme” – among other things. Jo Cox worked for the charity Oxfam before becoming a Member of Parliament, and had campaigned prolifically on the issue of Syrian migrants in her short time as a politician. How the conclusion was drawn, therefore, about such a motivation is unknown. There is no evidence to suggest a political motivation behind the attack, other that a discredited claim the killer had shouted “Britain First” during the incident. Pro-EU and Remain campaigners have already jumped to accuse pro-Brexit people of “damage limitation”, however, the EU Commissioner’s claims have drawn accusations of “capitalizing” on the MP’s death. 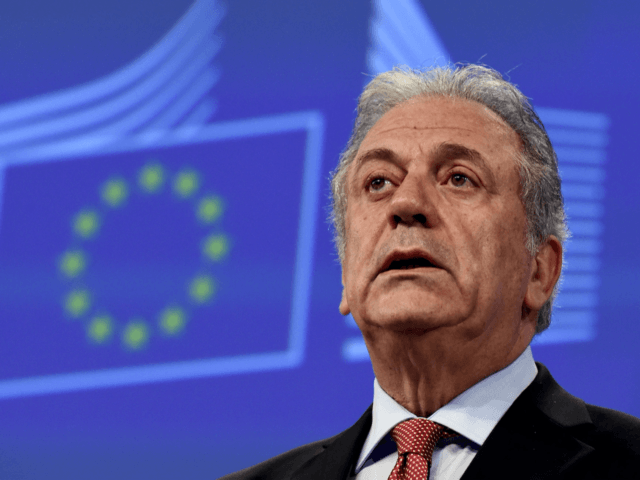 Dimitris Avramopoulos is a Greek politician and former career diplomat, who was appointed as the EU Commissioner for Migration, Home Affairs and Citizenship by current Commission President Jean-Claude Juncker. Left-wing French Presidential candidate Alain Juppé has made the same unsupported claim as the EU Commissioner on Twitter. Mr. Juppé is a committed Europhile who strongly advocated for the creation of a European federation in respond to the euro crisis. In 2010, the Free Library reported that the suspected murder had attended Pathways Day Centre for adults with mental health problems in Mirfield, West Yorkshire. He said the service was better that “psychotherapy and medication” – implying he had received both treatments before.